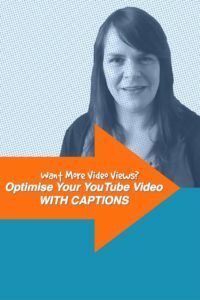 Adding captions is a good way to optimise YouTube videos. The written word is crawlable so you are more likely to appear in search results. I’ve been creating videos for years but until recently I’ve just been using YouTube as a hosting platform. 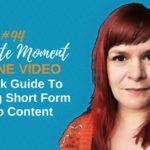 I’d upload my videos so that I could embed them in blog posts. Recently I realised I’d been missing a trick. I’ve a truck load of videos on my YouTube channel and if I optimised them for search I could get far more traction. Part of my video strategy is to let people find me, to see me, to trust me. 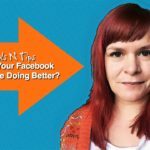 By just promoting those videos through my website I was missing a trick. So I’ve been researching and learning. I’m slowly beginning to optimise my channel and videos. Today, I’m starting a series of 1 minute moments on the topic of YouTube and search. 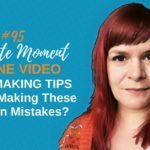 Tips to help you get your videos to appear in search results both within YouTube and traditional search engines. This is part one. It makes sense when you think about it. 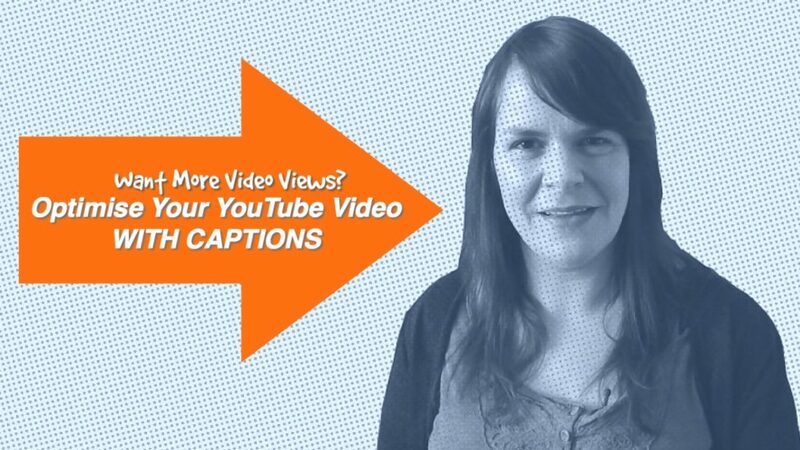 Search engines can’t watch your video or hear what you are saying but they can read text. 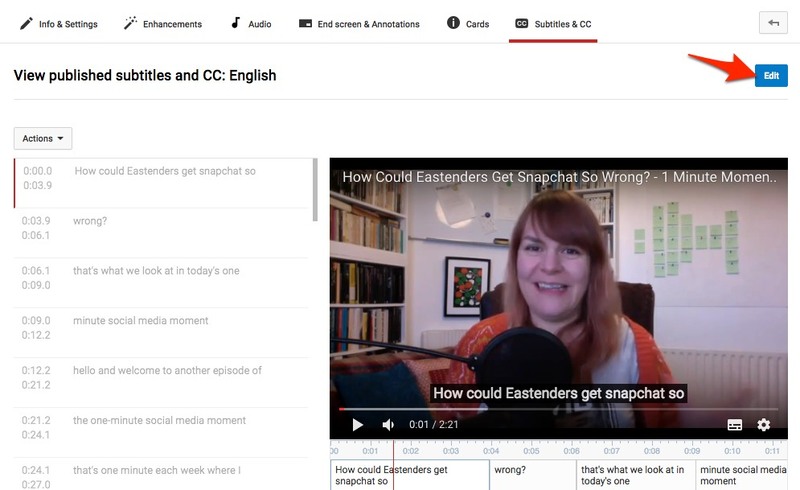 By adding captions you’re creating a text file that tells those search engines exactly what you are saying, it will help them index your video. The downside is that you have to create them. 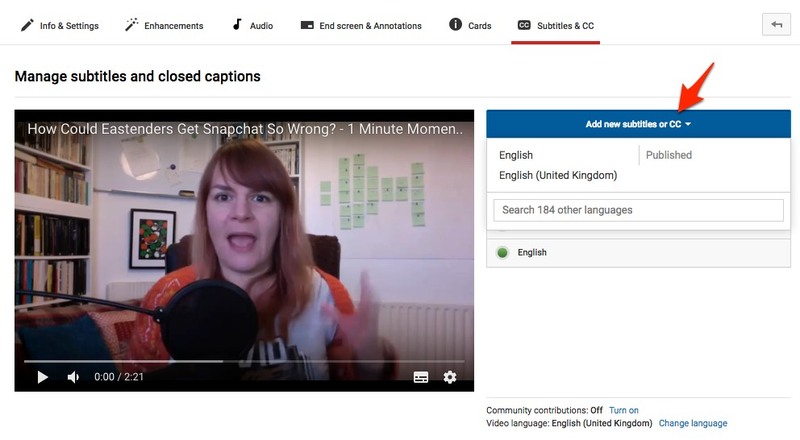 YouTube can ‘auto-caption’ your videos. Just click the ‘CC’ button underneath your video and chose the language you want to caption in. 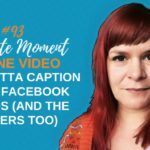 Auto-captioning is cool but there’s a problem. It can’t understand me at all! I was happily auto-captioning my video only to discover that it hadn’t a clue, the results were hilarious. The solution, and this takes a bit of time is to take those auto captions as a guide and edit them. 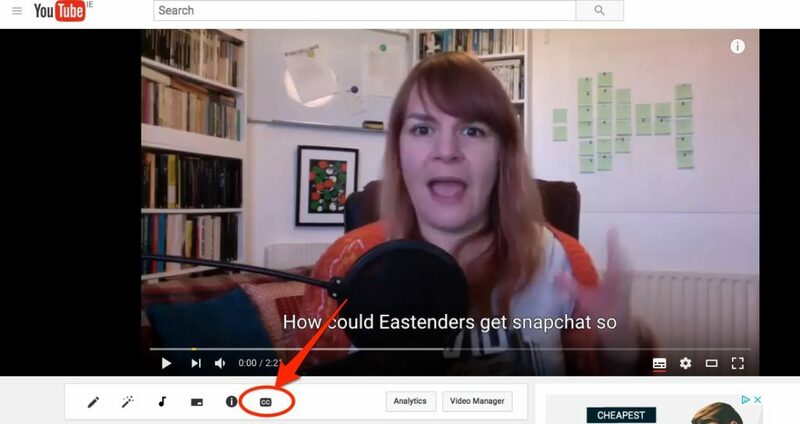 YouTube makes this simple with an interface that pauses the video as you type. It’s pretty cool. So now you need to think keywords not just when you are writing your content but also when you are speaking it.